If you are well-versed in the industry, you may have heard the name Bravo Concealment. 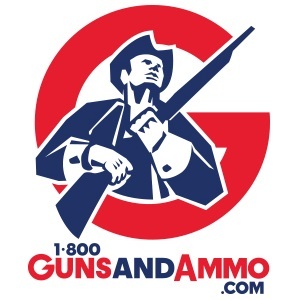 Based in Alamo, Texas, this company has engineered an array of gear such as holsters, gun belts, and magazine pouches fit for almost any configuration on the market. After reading one of my holster reviews, Bravo Concealment reached out and offered the opportunity to stress test some of their products. I carried both around for roughly two weeks’ time and have to say I am highly impressed. Prior to receiving these items, I have used a few other holsters in the past that needed to be adjusted for the right fit. Let’s break down how each Bravo Holster compares to models I’ve carried in the past. First in the lineup I was provided is the Bravo Concealment Torsion. 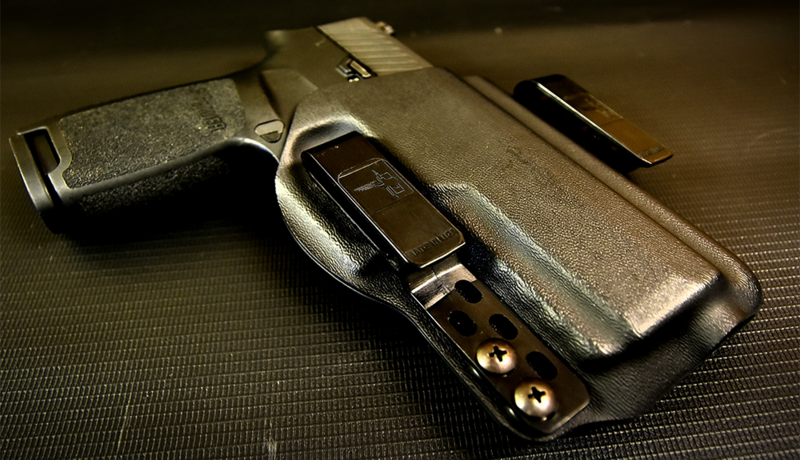 This IWB configuration includes two heavy duty clips that secure to the belt. To ensure maximum comfort, this holster has a slight curvature that brings it closer to the body to avoid exposing the concealed weapon. 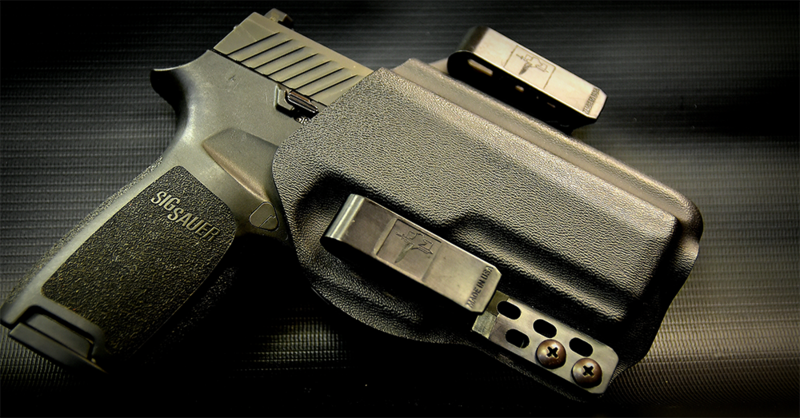 With the Sig Sauer P320 Carry model, the full-size grip is typically susceptible to printing; however, this holster works to alleviate this issue. Personally, I found the most comfortable carry position is at a 12 o’clock appendix resting just above the belt buckle. No matter what your daily tasks consist of, the firearm is readily available at a moment’s notice. It is much easier to draw once the garment is cleared as it rests higher than most IWB holsters. Utilizing passive retention to secure the firearm, you are given the reassurance that this will not come un-holstered should you engage in a foot pursuit or rigorous activity. Despite my enjoyment while testing these products, I did find one minor drawback that affected my everyday routine. The overall ruggedness and security of the duty clips is both a blessing and a curse. Part of my EDC is a 5.11 Operator belt that is roughly 1.5in in width which leaves little to no space with in the clips. This makes it difficult when removing the holster at the end of each day or other situations that call for the removal of the holster from my waistline. Even so, this does not effect the holster while in use during the day. Secondly, I was provided with an OWB configuration they have named the Bravo Concealment BCA. 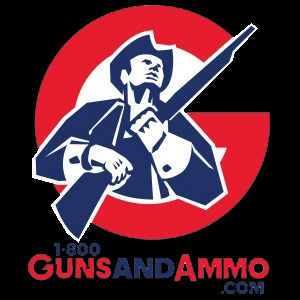 When examining your options for a suitable open-carry method, most do not consider the level of concealment as companies like Safariland or BLACKHAWK! are geared for a more tactical setup for easy access. The BCA uses the same curvature as the Torsion bringing the weapon as close to the body as possible. Because of this, you able to conceal the firearm and avoid printing despite the OWB setup. 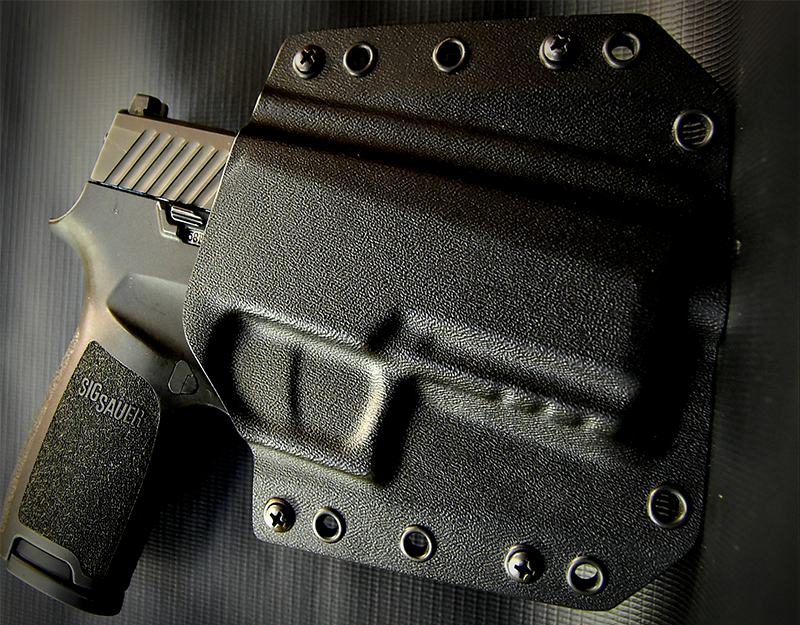 This holster also utilizes the same passive retention found in most basic Kydex setups to allow for an easy draw without the manipulation of a finger or thumb release. 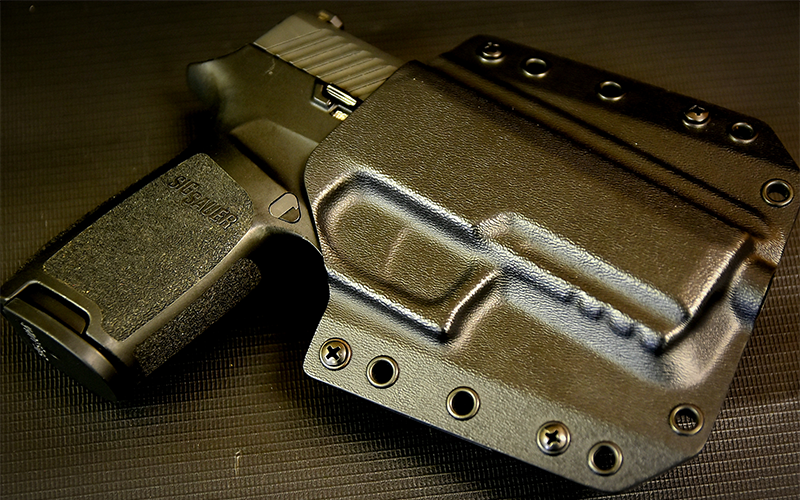 As great as this holster held up, there are some downsides to the BCA such as the minimal retention levels. With a basic holster you cannot expect to have level III retention fit for combat, especially with something geared for everyday concealment. Passive retention does not require you to operate additional features of a more sophisticated holster; however, it may be removed from your hip by a threat as the retention is defeated by pulling the firearm up. Surely the chances of this occurring are minimal, yet this is something to consider if you are seeking added security. Another downside comes for those familiar with the distance between the belt and a Serpa holster. Users like this may have trouble at first when running drills. This is easily eliminated through consistent training for a successful re-holster each time. My overall findings were that each Bravo Concealment Holster is suitable for any daily task from grocery shopping to your daily commute to work. Kydex is one of the hottest products on the market today, and Bravo has utilized it to create a product that will fit your needs. This test and evaluation showed the potential of each holster. They feel as comfortable as leather holsters but maintain suitable retention levels for security and reassurance with the Kydex construction. Let us know what you think of Bravo Concealment holsters and if this is something you’d like to see us carry in the future. Whether you are searching for a comfortable IWB holster that won’t break the bank, or an OWB that is not easily visible, consider the options mentioned above. We’ll be happy to answer any questions you might have. It is important to note that your experience may differ and this review was based solely on my personal setup. Visit our retail store in Arlington, Texas or check us out online and we will be more than happy to get you taken care of. As always, train hard, shoot straight, and stay safe.